Walt Disney World has released new vacation packages, including the very popular “Free Dining” offer. A notable change for this year’s Free Dining offer is that Value and Moderate resort stays only qualify for the Quick Service Dining Plan. In order to get the full Disney Dining Plan, guests will have to stay at a Deluxe Resort. IT’S HERE. Today Walt Disney World’s announced that it will offer Free Dining to guests for select dates in late August, September, October, November, and December 2016! Free Dining is being offered to guests arriving during the dates listed below. A minimum stay of 3 nights is required and your package may not be booked for longer than 14 nights. You must book by July 8th to get the offer. It should be noted that the offer excludes: Campsites, Bungalows at Polynesian Village, Grand Floridian Villas, Bay Lake Tower, 3-bedroom Villas, Port Orleans French Quarter, and Little Mermaid rooms at Art of Animation. Port Orleans Riverside is only available through October 1st. If guests stay at a Value Resort, you’ll receive the Quick Service Dining plan for FREE. Guests can upgrade to the standard or deluxe dining plans by paying the difference in cost per night. If guests reserve a Moderate, Deluxe, or Deluxe Villa Resort, you will receive the standard Dining plan for FREE. Again, guests can upgrade to the deluxe dining plan by paying the difference in cost per night. Guests must book a minimum stay of 3 nights/ maximum stay of 14 nights at a Disney-owned resort. You may also need to purchase at least a 2-day Magic Your Way Disney World ticket with a Park Hopper and/or the Water Park Fun & More Option. 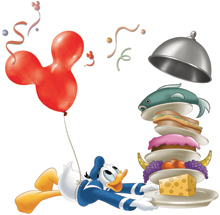 2015 Disney World Free Dining Offer Now Available! 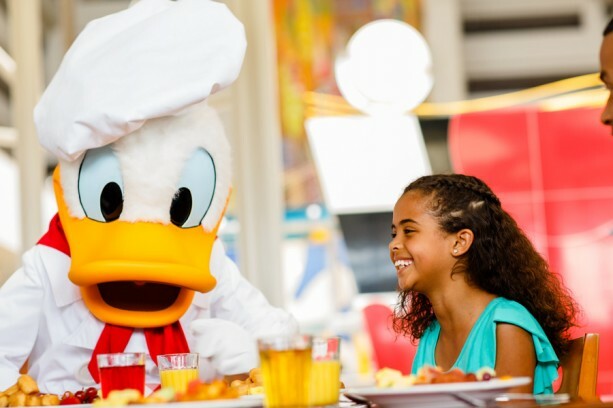 Today is THE day many of you have been waiting for… Walt Disney World’s Free Dining Offer will be available to guests for select dates in August, September, October, November, AND December! Guests must book by July 10th to get the offer. It is worth noting that Disney’s Port Orleans — Riverside is excluded from the offer from October 25 – December 21. The offer also excludes campsites and 3-bedroom villas at all times. If guests stay at a Value Resort, they’ll receive the Quick Service Dining plan for FREE. Guests can upgrade to the standard or deluxe dining plans by paying the difference in cost per night. If guests reserve a Moderate, Deluxe, or Deluxe Villa Resort, you will receive the standard Dining plan for FREE. Guests can upgrade to the deluxe dining plan by paying the difference in cost per night. 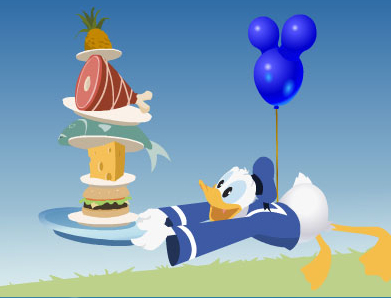 Author RayPosted on April 27, 2015 April 27, 2015 Categories Walt Disney WorldTags Disney Dining, Free Dining, Walt Disney WorldLeave a comment on 2015 Disney World Free Dining Offer Now Available! Are you considering a trip to Walt Disney World Resort this fall or winter? If so, then this just might make you bite –our popular Free Dine offer is back! In case you haven’t dined on the plan before, the Disney Dining Plan is honored at more than 100 select Walt Disney World Resort restaurants, while the Disney Quick-Service Dining Plan (available for packages that include a stay at Disney Value Resorts) includes meals and snacks at more than 50 dining locations. Walt Disney World’s Free Dining Offer is scheduled to be offered for select dates in September, October, November, and December 2014! As happens almost every year, the offer is currently available only to Disney’s Visa Cardholders. The offer should be available to the general public on May 7, so get your booking details ready to go! Free Dining is being offered to guests arriving during the dates listed below. A minimum stay of 3 nights is required and may not be booked for longer than 14 nights.